As Windows 10 nears its official release, Microsoft is giving back to the Insiders who helped beta test the platform. No gifts are being handed out (that we know of), but Microsoft is releasing ninja cat wallpapers for insiders, and encouraging them to create their own as well. 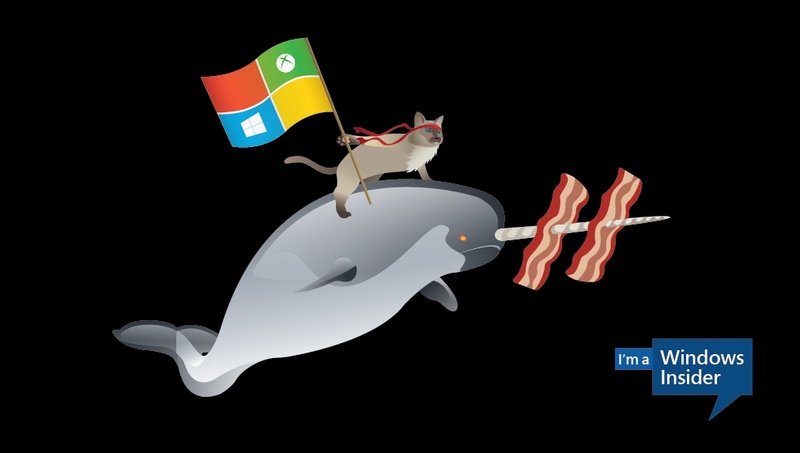 The ninja cat isn’t a Microsoft original; it was modeled after Jason Heuser’s “Welcome to the Internet” image. Still, the company has embraced it wholly. In addition to the wallpapers, there seems to be an animated GIF of ninja cat that pops up in Skype should you send someone “(windows10)” in a message. Windows fans are also encouraged to download the Raw images of ninja cat and submit their own wallpapers using the #windows10 and #ninjacat hashtags. So far, it’s been tame (except for a skewered Tim Cook) — but it’s still early. If you just want to download the wallpapers, you can do so for PC and tablet, phone or the Microsoft Band.